The songs Tom Petty has written and recorded over the past forty years have not only spoken for themselves — they’ve largely spoken for Petty himself. 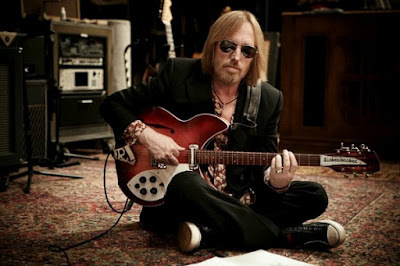 Even in the overall fantastic four-hour Peter Bogdanovich –directed 2007 documentary Runnin’ Down a Dream (or in Paul Zollo’s 2005 incisive book Conversations with Tom Petty) the legendary rocker didn’t dwell too deep on his personal life, much less whatever demons he’d battled along the way. 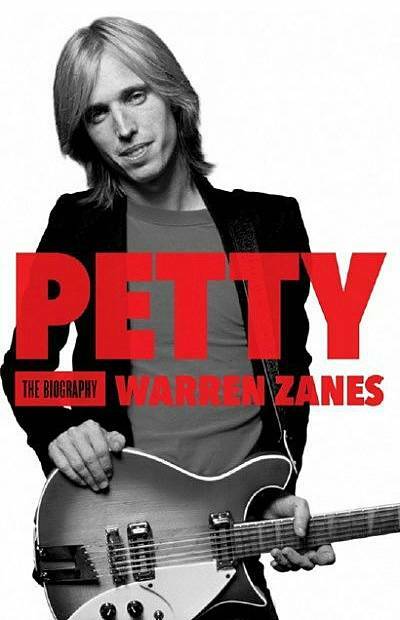 However, in a new book by author and erstwhile singer/songwriter Warren Zanes, Petty: The Biography, Petty comes clean about it all, yielding revelatory insights on his life (including a previously undisclosed addiction to heroin and the volatile collapse of his first marriage) as well as his music. The book was Petty’s idea, but as Zanes tells Write on Music, it’s not Petty’s book. You mention in the book that Petty was uncomfortable discussing some of the particulars of his first marriage, for instance, but was there anything that he was flat-out unwilling to discuss? No. I went into the big areas of discomfort, and he never told me to get out. The heroin use, the issues with his first marriage, the troubles within the band, childhood abuse — all this stuff was difficult to talk about. He went in and went in deep. With the physical abuse that he endured at the hands of his father, he had come out with that in the Peter Bogdanovich documentary but he hadn’t given details about what it looked like. And so when we sat down, I said, “The world knows that it happened, but the world doesn’t know how that took form. This is going to be painful to walk back into, but we need to do specifics here.” He did it. His approach was unguarded. There’s a quote in the book where Petty is talking about the album Southern Accents: “When I hear that one, I can taste the cocaine in the back of my mouth.” It’s chilling. Ultimately, in the interview where he’s made that decision to be unguarded, he started to speak the way he writes. It’s got a pithy, hard quality to it. So a statement like that, it’s a very economical way of telling you a larger story. And that’s the way he writes songs. With regard to instances in the book that reveal how the making of certain records were often a slog, when the studio time was (as Petty sometimes puts it) more work than play — an album like Long After Dark — do you think Petty ever felt burdened by his talent? As if he had this gift that he had to use but which the pragmatic aspects of his craft at times overwhelmed? I don’t think he ever felt burdened by his gift. I think he felt burdened by being a bandleader.... When things are going right with the band, that’s a fantastic experience. More often than not, they’re going wrong. It’s really hard to do. It’s much like families where you get a family together at Thanksgiving, they tend not to remember the good times. They remember when one brother or sister did this to them in the seventh grade. Going home for Thanksgiving can be hard for a lot of people and families. Bands, they have these euphoric experiences but nonetheless they’re remembering the times that they didn’t get the notice that they felt they should get, they didn’t get the money they felt they should get, someone else got too much attention. The bandleader has to be the lightning rod for all of this sentiment. I think that became a burden, but Tom Petty always wanted a band. Record making was best when he had the Heartbreakers with him. He knows that he’s got the best rock ‘n’ roll band in America. When they make records, they stand next to each other and cut live. They’re still doing that after forty years. They’ve done something that nobody but the Stones have done. I don’t know what the Stones put into their latest recordings, and I don’t want to speculate. 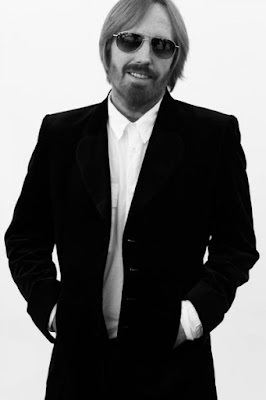 I do know [how] Tom Petty approaches every record, and I’ve seen this from the inside. He sees no reason to make another unless he has a shot at making his best record yet. So he goes into it with a really high level of commitment to try to top himself. And that’s meant that these records have stayed really, really good. Yeah, I thought his most recent album, Hypnotic Eye, was excellent. In the book I mention one journalist who went to Petty and said, “You do know that you didn’t have to make the record this good, right?” That’s such a telling statement because it’s true. If he wanted to coast, he’s earned it. Is he able to coast? I don’t think so. It’s just not the kind of guy he is. The ballad on that one, “No Reason to Cry,” is beautiful. It sounds like it actually could’ve been on the Mudcrutch album. That’s another thing that I find really interesting, that decision to go back and reform Mudcrutch, what that yielded musically, but also what that did for the Heartbreakers because I think it gave the Heartbreakers some juice. What an odd decision to make, to go back and form your band from much earlier on. As a career decision, that is pretty left field. Right. It’s not like Eric Clapton reforming Cream. Nobody really knew about Mudcrutch except for those who saw them back in Gainesville. This is what I’m so compelled by. Petty is extremely instinctual. He goes with his gut feeling. He’s not looking around and saying, “Well, geez, the albums of standards have worked well for Rod Stewart. Or maybe I should do one of those duets records.” He’s off in his own territory, making his decisions by instinct and they just keep yielding material. So his audience trusts him. You write about Petty, particularly in the beginning of the book, as being this shitkicker from the Florida swamps, but some of that small-town simplicity or naiveté seems to have served him well over the years. Even in the most debilitating parts of his career, he’s remained focused on writing songs and making albums. Well, I think what happened back there in Gainesville is something that’s happened to a lot of people that have had long careers, is [that] a number of years passed before his first success. So when it came he had respect — deep respect — for what allowed that success. That was his connection to a producer, his work as a songwriter, and his band. Those things he looked at as that which delivered success. So I think he’s always had a kind of commitment to those three things. He’s worked with a number of producers who’ve been really meaningful at different historical moments, he’s always put in the time with his craft, he’s always ready to learn from someone like a George Harrison when they come into his life, and then he made sacrifices to keep his band together. But if you look back at his pre-history back in Gainesville there were so many times when he was struggling to keep the band together. There was a time when he was learning to be a songwriter. He didn’t just write his first song and it was great. The prehistory — and I see this with so many artists that I interview and work with — it’s six years, eight years, ten years… There’s a lot going on before it clicks. It’s a survival of the fittest, and most people give up. A few rejection notices and they pull out of the game. There’s another type who has a stack of rejection notices and something compels them to continue. Then, those are the guys who end up being successful. There’s a few cases where right out of the box success comes, but the ones we think of when we think of long careers, most of them put in a lot of work before anybody raised an eyebrow. Yeah, but they’re a rarity. Most, if they have success right out of the box, fall apart pretty quickly. Then the rest who have long careers, they put in years. Petty put in his years. He watched guys quit his band and he went through periods with Mudcrutch when they just couldn’t get people to join their band. He didn’t forget that. He didn’t take things for granted once the gold records started coming. There are so many examples in the book illustrating how fame and all the accoutrements that come with it really, at the end of the day, just do not impress him that much. He’s just not in it for that. He’s not. This is my take on it, but I really think that this is a guy who had that experience of writing [songs] and realizing that he could really do this — he was very good at it — and then turning those songs into records. To have a song that you wrote that you feel like you really did something with and then take it into the studio and with a group of musicians turn it into a recording, that’s just about as great an experience as you’re going to have in life. And so a larger yard with gardeners mowing it, it’s never going to mean that much next to just that ability to write the songs and record them. There’s so much work that goes into it, but there’s so much joy in that when it’s going right, and it’s gone right for large parts of Petty’s career. 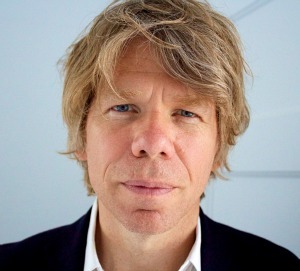 He’s very, very consistent as a songwriter and record maker. So I think that’s the biggest boon of success, is that he gets to do it again. 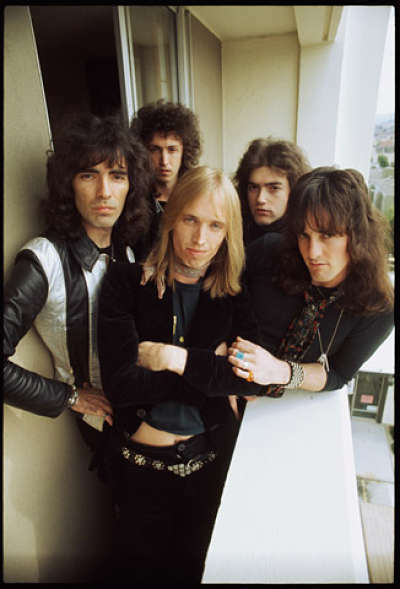 Petty: The Biography by Warren Zanes is published by Henry Holt & Co.